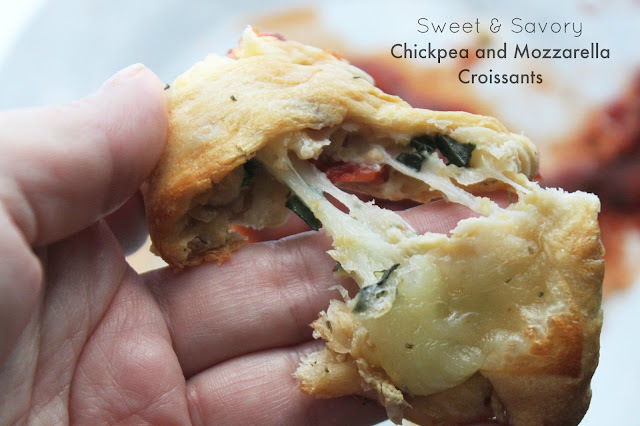 Beautiful Incentives: Sweet & Savory Chickpea and Mozzarella Croissants. Plus, win $10 ! 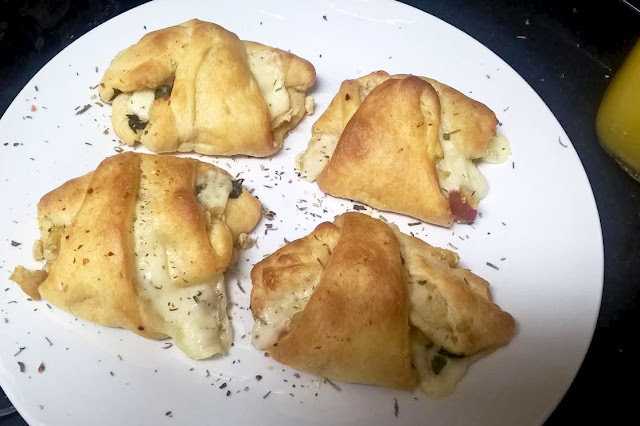 Sweet & Savory Chickpea and Mozzarella Croissants. Plus, win $10 ! I hail from an Italian background. Through and through. My heritage is predominately Italian. With that said, you can guess that I freaking love my Italian food. Cooking and good food is pretty much a religion in Italy. We worship the gods of cheese, olives and grapes. What I love most about Italian food is that while it can be very unique to the taste buds, It can also be so incredibly simple to make a delicious and fast delectable meal when needed. Tonight, I made a Sweet and Savory appetizer with the help of the Viva Italia Event going on at Publix. I took advantage of their sales and a few coupons, though I didn't need much at all to get this party for the taste buds started. I decided to try something a bit different and go for a more sweet and savory approach with something different than meat for the protein and added fiber. Pillsbury croissants and Progresso Chickpeas is what was spawned. It turned out pretty yummy, though I think biscuits would have taken it up a further notch and I will try that next time for certain. The sweetness of the croissants with the more savory taste I rather enjoyed though. 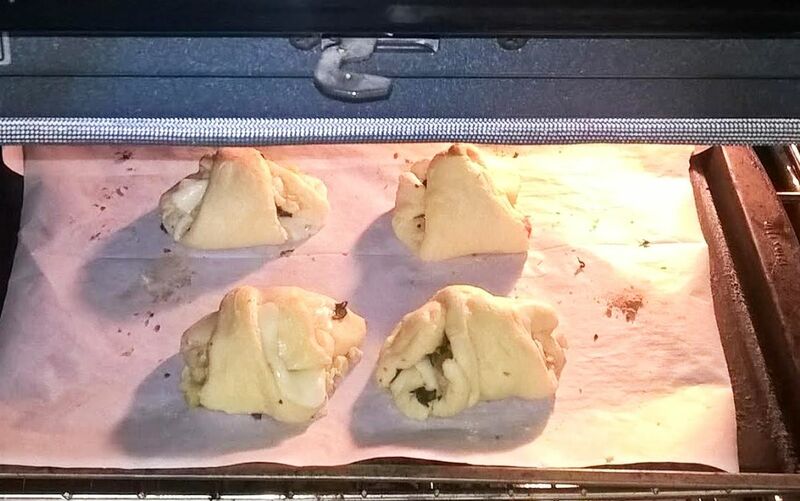 Just switch it out for Pillsbury buttery biscuits if the thought doesn't sit well with you! 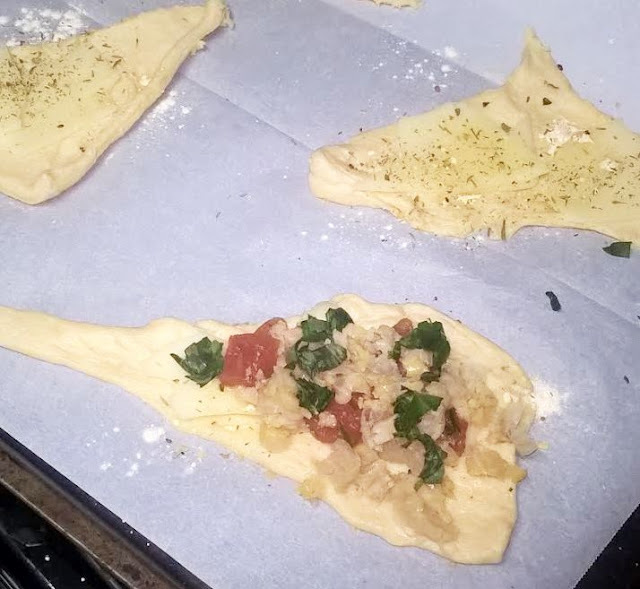 Onto my quick and easy Viva Italia Night recipe! These will make great appetizers. 1. For Non stick and dark pans, set your oven to 375 degrees. 2. 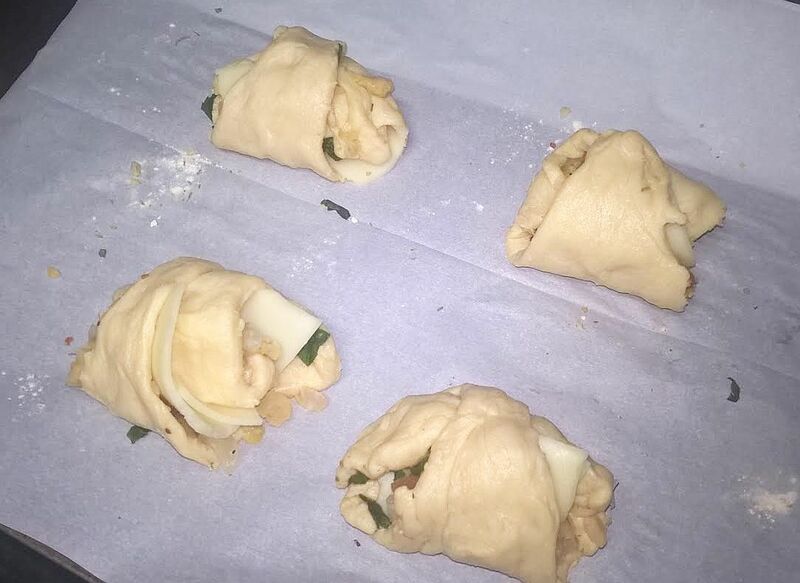 Grab your croissants ( I used a 4 pack ) and carefully unroll them on a pan covered with parchment paper. 3. Start with a layer of 1/4 mozzarella cheese slice on all 4. 4. 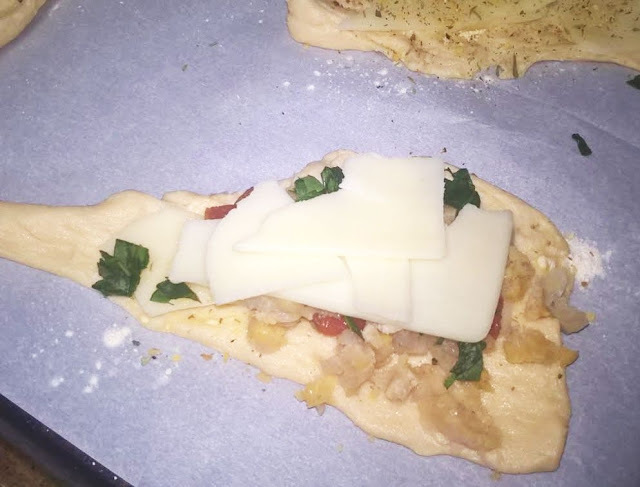 Then top with 1 tspn chickpeas, 2 tomato chunks, fresh basil, 1/2 tspn of Braggs Herbs, followed by 1/2 tspn of garlic powder and another 1/4 mozzarella cheese slice or more to your liking. 5. Once done with all 4 croissants, carefully take the widest part of the rectangles and roll to the thinnest part so that the point of the triangle is on top. 6. 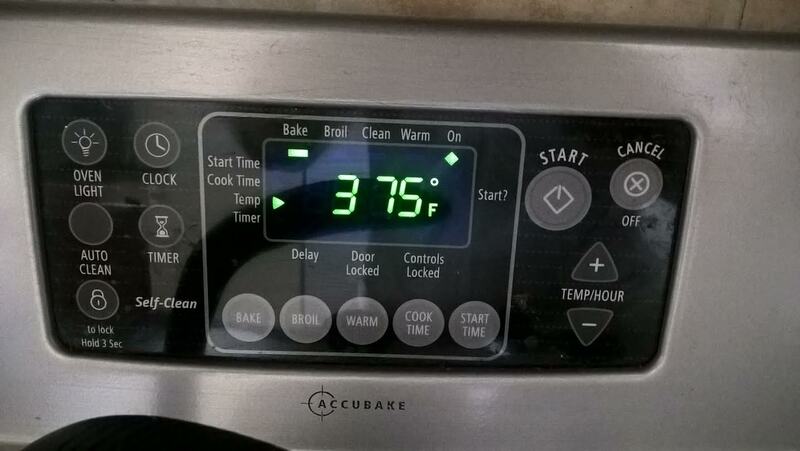 Now we're ready to bake in our 375 degree preheated oven for 10-12 minutes. They're done when nice and browned. These are delicious with some marina sauce! Just eat them like garlic rolls. Enjoy! Win a $10 Paypal Gift Card to have your own Viva Italia Night! Entry is Simple, just visit Publix Viva Italia here and tell me what you think you'll make or what your favorite Hunts or Progresso Products are. That's it! E-MAIL so I can contact you if you are the winner! I would make the Tuscan Broccoli Pizza, looks great. I want to make the Slow Cooker Mushroom Spinach Lasagna recipe. It looks easy and delicious! I will make the Kickin’ Baked Rigatoni. It looks so good!!!! I would like to make the Kickin’ Baked Rigatoni recipe. Oh they all look so good! I think I would try their Tuscan Broccoli Pizza recipe first! I would love to make the Slow Cooker Mushroom Spinach Lasagna for my family! It sounds so good! Thanks for an AWESOME giveaway! I would love to make the Chocolate Chip Biscotti recipe, thanks! I would love to make the Chicken Osso Busco! I would absolutely love to make the Chicken Osso Bucco. I love Progresso spaghetti sauce. Kickin’ Baked Rigatoni is what I would make. I would love to make the chicken osso bucco! I'd make Slow-Cooker Pork Shoulder Sugo because slow-cooking is so simple! My favorite Progresso product is there Italian Wedding soup! 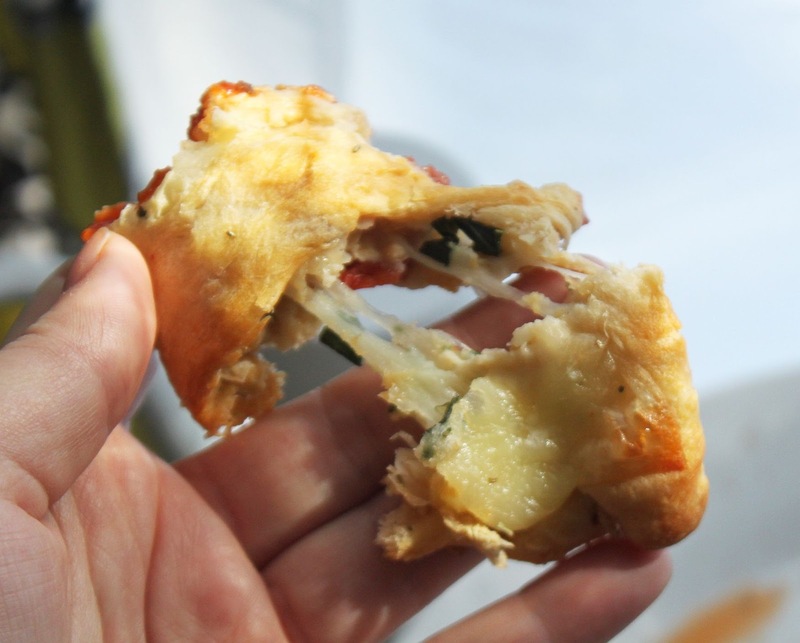 I will make the ham florentine mini-cups! They look delicious.